Finding suitable insurance for your modified 4x4 may get complicated - but Adrian Flux are experts in the field and can take the hassle out of finding the right deal at a price that you can afford. We offer high quality, low cost comprehensive insurance no matter what 4x4 you drive and no matter how you have modified it. From roll cages, spoilers and flared arches to snorkels, spot lights and full LPG conversions, Adrian Flux will have a bespoke insurance deal for you and your car no matter how it is customised. And most policies come with green-laning and off-roading included as standard. Our modified insurance deals are designed to suit each customer's personal needs and we have bespoke policies for covering everything from ex-MOD Land Rovers to imported Pajeros, including pick up insurance, Q-plated vehicles, kit 4x4s, classic off-roaders, SUVs and luxury models. We are confident that we offer the best modified 4x4 insurance on the market with flexible and competitive quotes sourced from a panel of more than 40 insurers. Don't waste time ringing round to gauge the modified 4x4 insurance market when we can do it for you. But if you do ring round, call for last and and we will pull out all the stops to beat your cheapest quote. Verified experience of driving your four wheel drive. 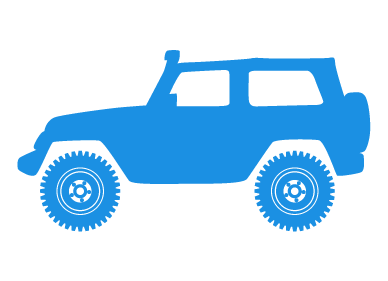 Our experienced team know all about off road and four wheel drive cars and the people that own them and they will work out a quote unique to you and your car. We are confident we offer the best modified 4x4 insurance quotation service available. Quicker and cheaper modified 4x4 insurance rates are available over the phone - to get an immediate, no obligation quote, request a call back at a time that suits you (9am to 7pm Monday to Friday & 9am to 4pm Saturday).